The Wingham Consolidated School District in the Rural Municipality of Grey resulted from the amalgamation of Wingham School No. 1061, Sunnydale School No. 1389, and New Sydenham School No. 1380. 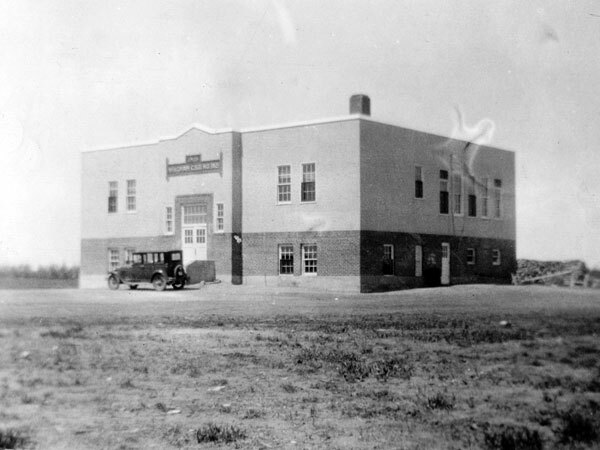 Construction of a new school building, designed by Winnipeg architect E. D. Tuttle, began in 1920. Built on a 12-acre lot (SE27-9-5W) at a cost of $60,000, the one-storey brick structure measured 63 feet by 64 feet and featured a full-height basement with a gymnasium, manual training room and auditorium; four classrooms on the main floor; and a principal’s office, library, and science laboratory on the second floor. 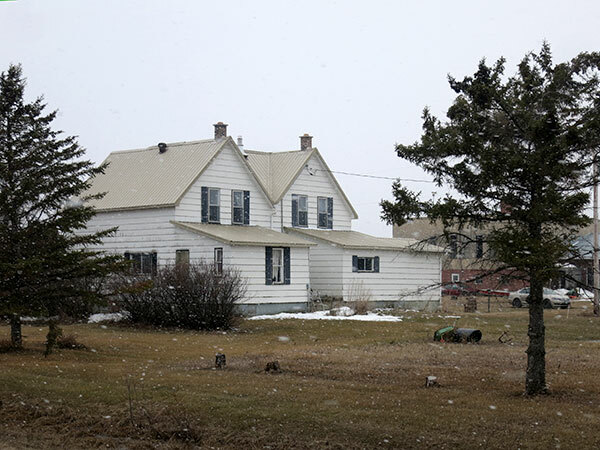 Nearby was a two-storey duplex that contained residential space for the principal and his family, and the school caretaker. A barn contained stalls for 14 horses, two garages, and a shed for storing the vans used to transport students to and from school. 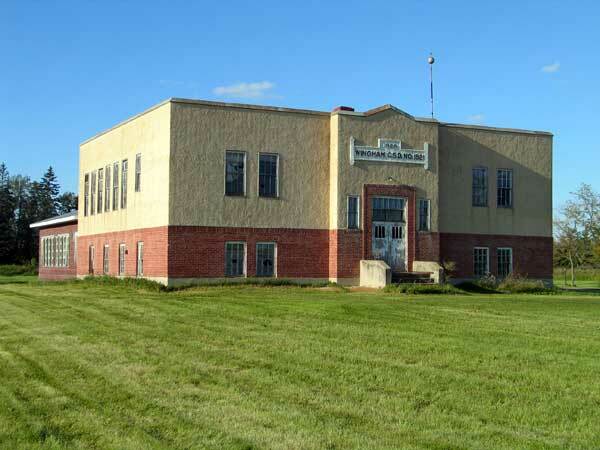 The school was unique in being the only large, consolidated district outside a town in rural Manitoba. It was opened at a ceremony on 14 October 1921 attended by provincial Education Minister R. S. Thornton. It was destroyed by fire on 9 January 1929. The original school building was replaced by the present three-classroom, one-storey structure during the summer of 1929. Two more classrooms and a laboratory were added to the rear in 1951. It came under jurisdiction of the Midland School Division before closing in 1973, after which the building was sold. For a period in 1974-1975, the facility was used as an outdoor retreat by students and staff of the St. James Assiniboia School Division but the program ended when local officials asked for costly renovations so the building would meet modern health and safety regulations. 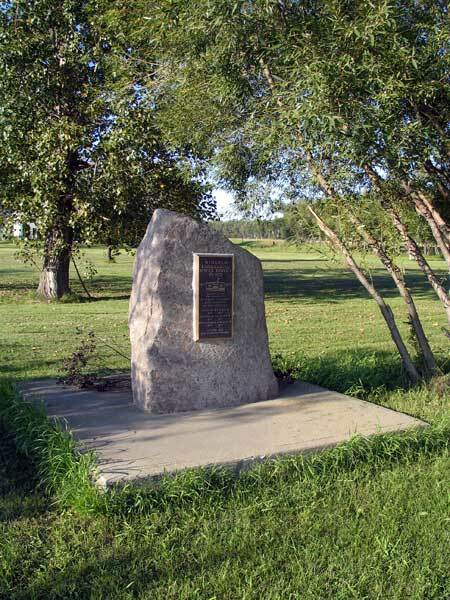 In 1992, a monument was erected along the road allowance, for the Elm Creek centennial year, and dedicated to the pioneers, teachers, and students of Wingham School. The original duplex teacherage remained in use as a private residence at the time of a 2019 site visit. “Tenders for Wingham Consolidated School,” Manitoba Free Press, 1 March 1920, page 5. Western Canada Contractor, June 1920, page 36. “The best rural school,” Manitoba Free Press, 21 October 1921, page 15. Tales of a Trustee (Aidan H. Conklin) by Anita E. Schmidt, 1985, Winnipeg: The Christian Press, page 75. Obituary [Viola Kathaleene Beach], Winnipeg Free Press, 2 January 2016. 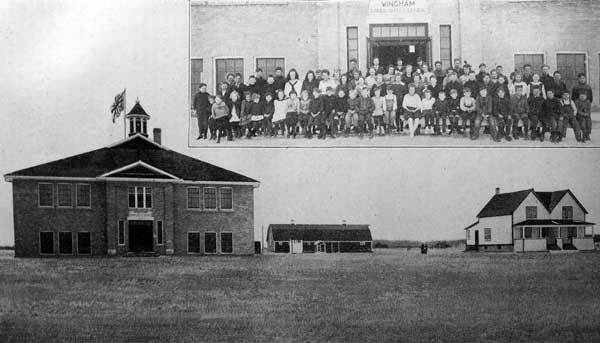 Manitoba School Records Collection, Wingham School District No. 1921 Daily Registers, GR2085, Archives of Manitoba. Manitoba School Records Collection, Wingham School District No. 1061 Minute & Cash Book, GR6909, Archives of Manitoba. Ripples from the Creek by Edith Anne Baragar, 1969, pages 94-98.